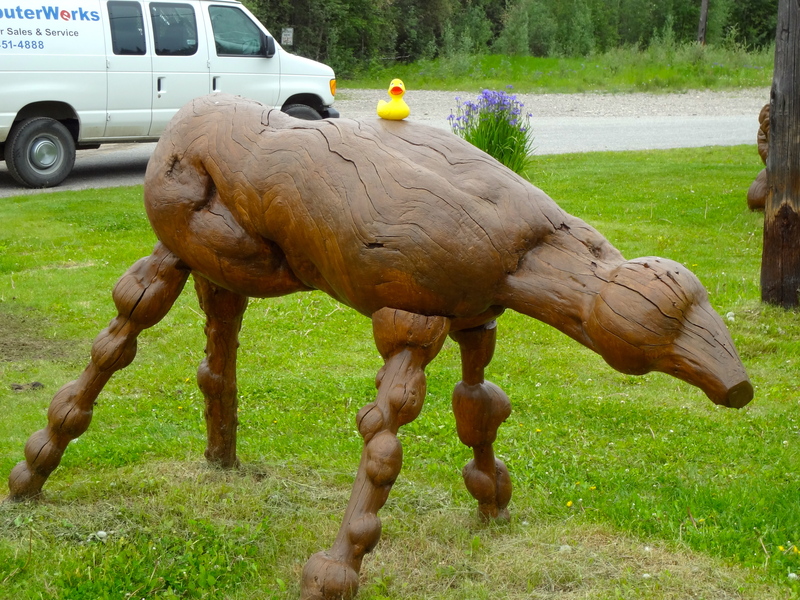 Our Alaska cousin, Eider Duck, wanted to show us his favorite gift shop. 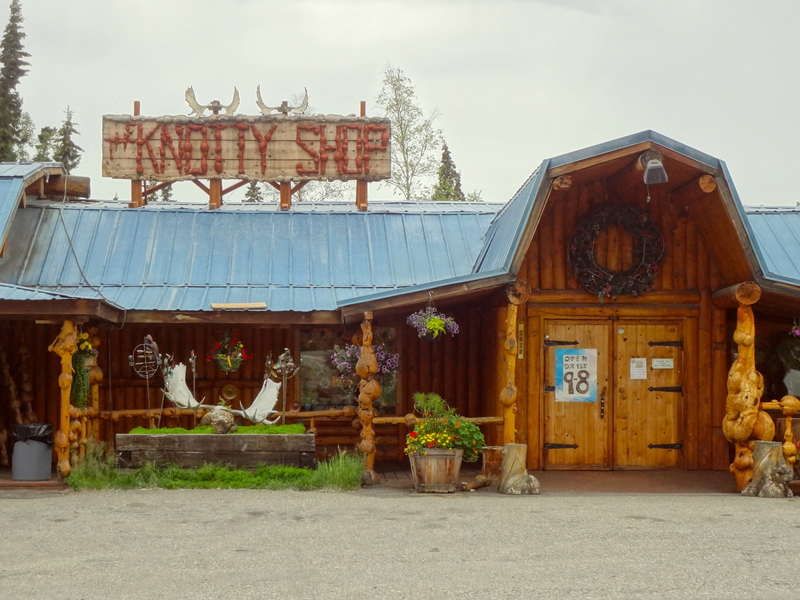 Near Fairbanks, in Salcha, Alaska you can find The Knotty Shop. 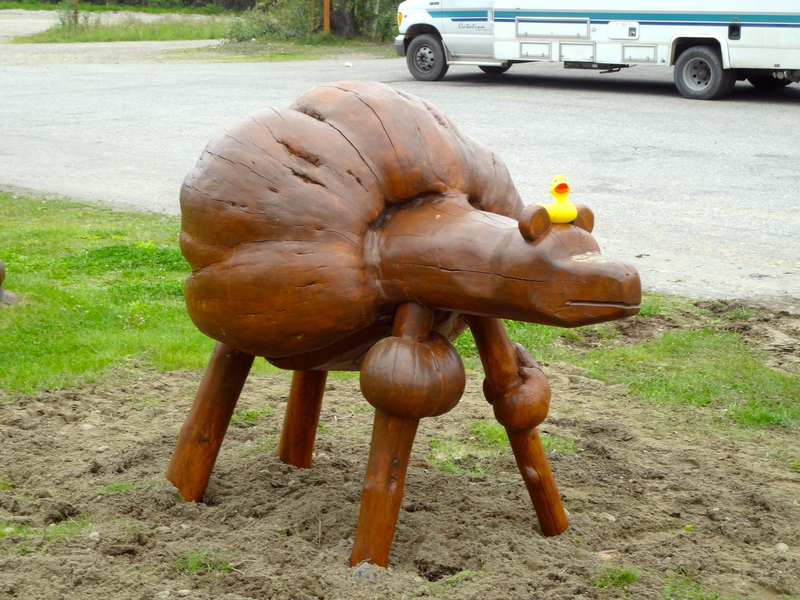 The name comes from the Knotty Pine wood. 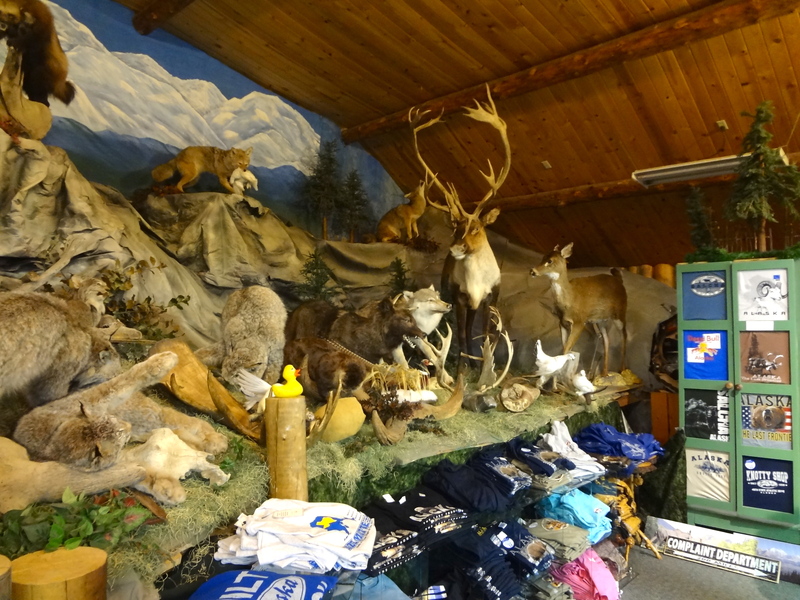 Inside the store you will find so many Alaskan gifts. Much is handcrafted by Alaska’s residents. There is a large selection of clothing. The knives feature the Alaskan ulu knife, some of them with the handle and stand crafted from Alaska’s diamond willow wood. Wooden bowls are also popular items at The Knotty Store, as is a birch stein with a lid. The food section features many flavors of syrup. Fireweed syrup is available, as is salmonberry syrup, (what is salmonberry?) along with a favorite, wild blueberry syrup. 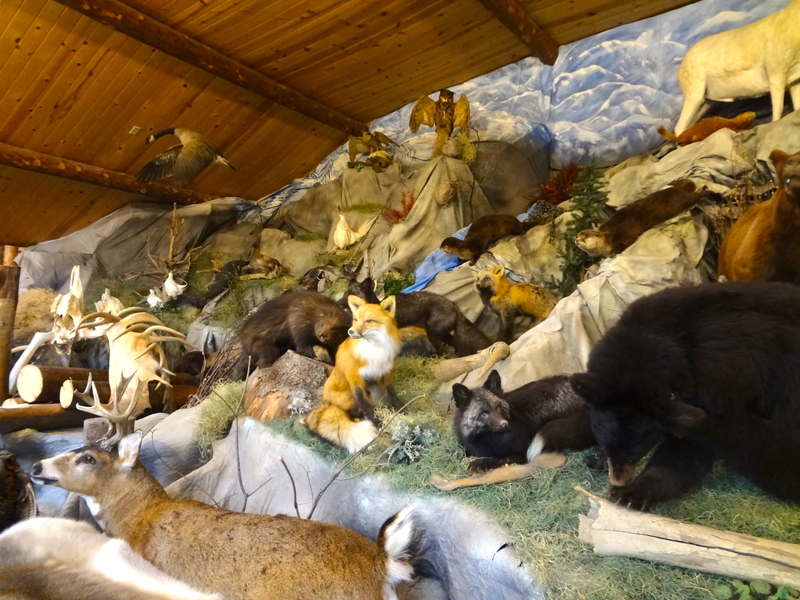 The Wildlife Museum highlights several Alaskan mounts. Eider lives here, so these animals do not make him nervous. We think the fox could be our friend. While the selection of gifts is incredible, the real attraction is outside. 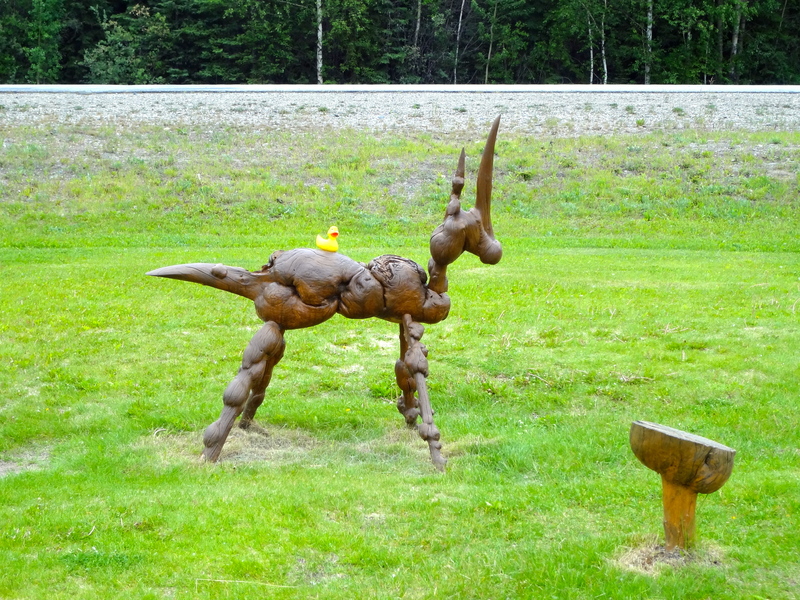 Eider wants you to see several of these carved animals. We really think they all are wonderful. Such talent to make these. Eider loves to visit this store. We could not choose a favorite. 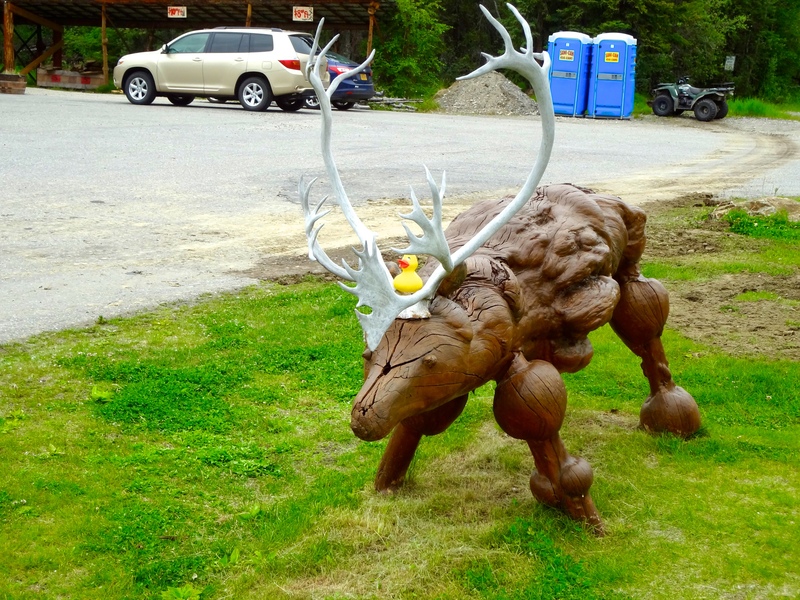 But these antlers do grab and hold our attention. Which is your favorite? 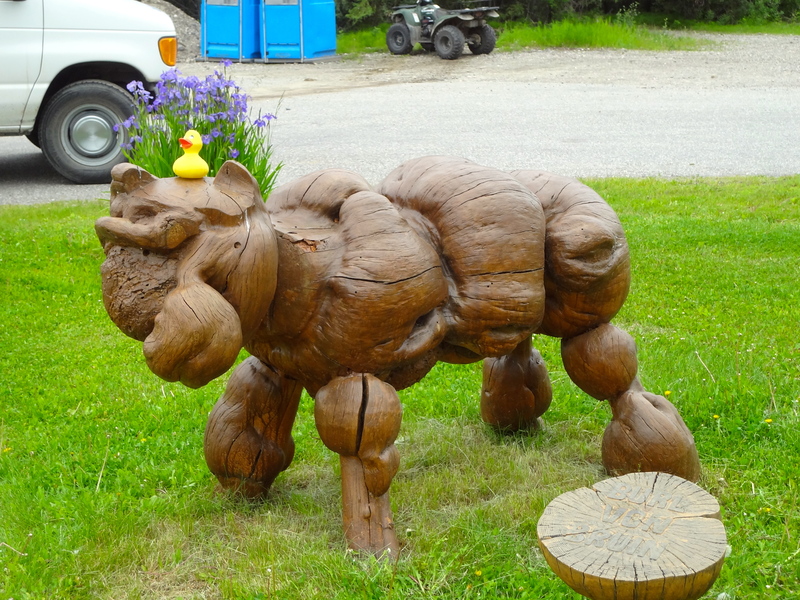 For more information and photos of The Knotty Shop, visit http://www.AlaskaKnottyShop.com Eider, we love this shop. 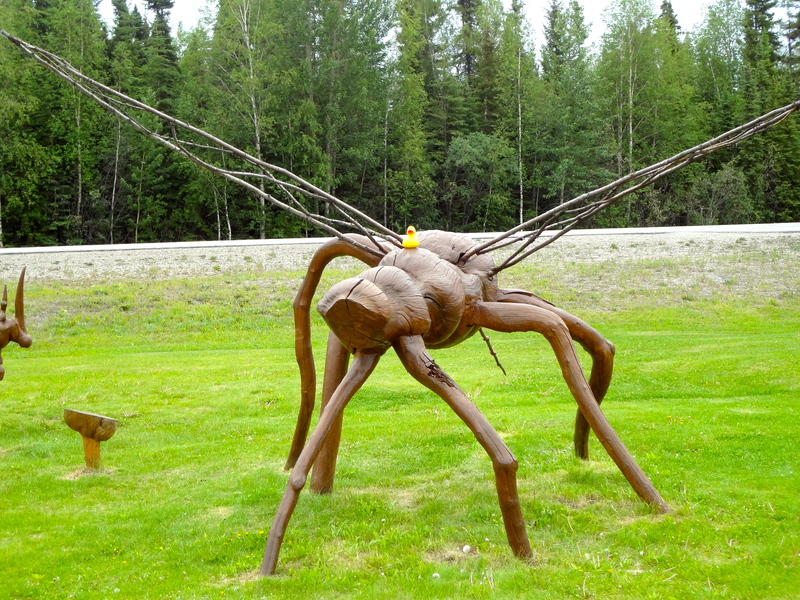 Thanks for sending us the photos, cousin Eider.